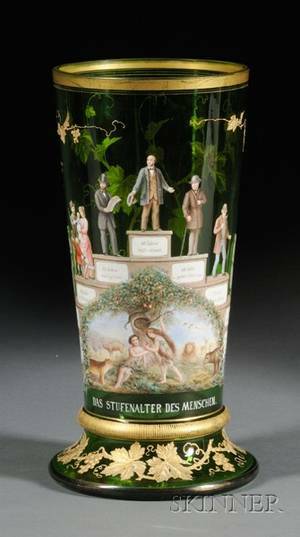 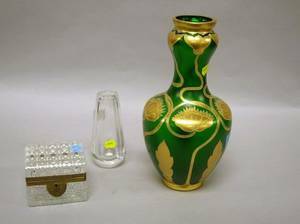 Large enamel decorated green glass vase, late 19th c. , 24" h.
Gilt-metal Mounted Colorless Cut Glass Lidded Box an Etched Colorless Glass Vase and a Gilt Enamel Decorated Green Glass Vase. 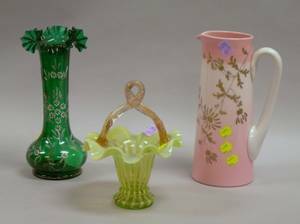 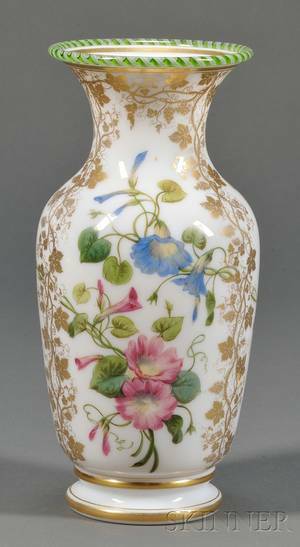 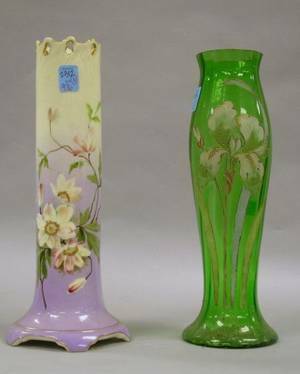 Enamel Floral Decorated Green Glass Vase and a Carlsbad Handpainted Floral Decorated Porcelain Vase. 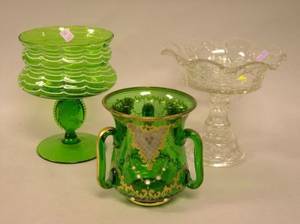 Enamel Decorated Green Glass Loving Cup a Green and White Art Glass Compote and a Colorless Pressed Glass Compote.